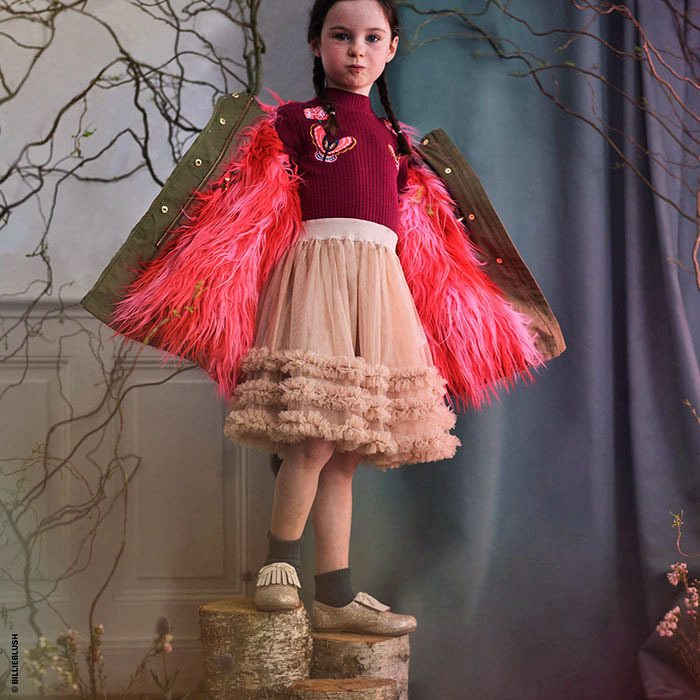 A sparkling, poetic and sassy brand for girls who want to live in a playful, enchanted world. 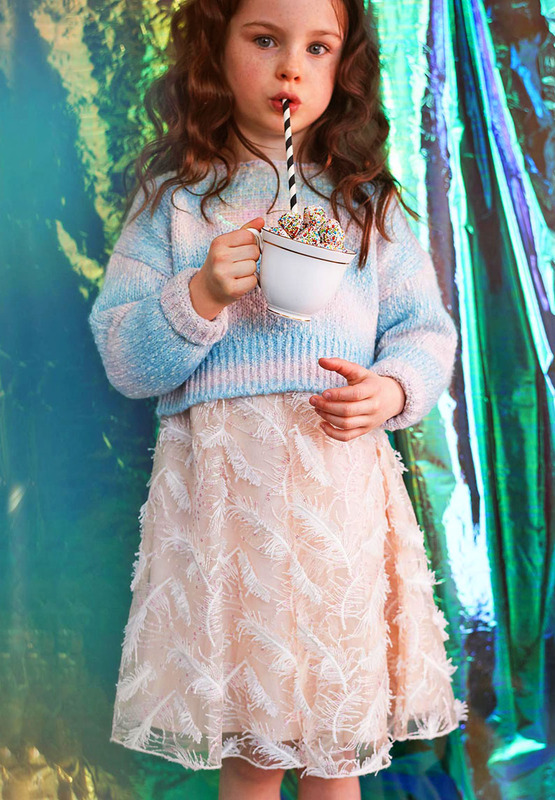 A gorgeously girly universe, with touches of sweetness and fun for modern day princesses! Packed with pretty pastels, colourful embellishments and plenty of sparkle, Billieblush offers a collection filled with fun and femininity. 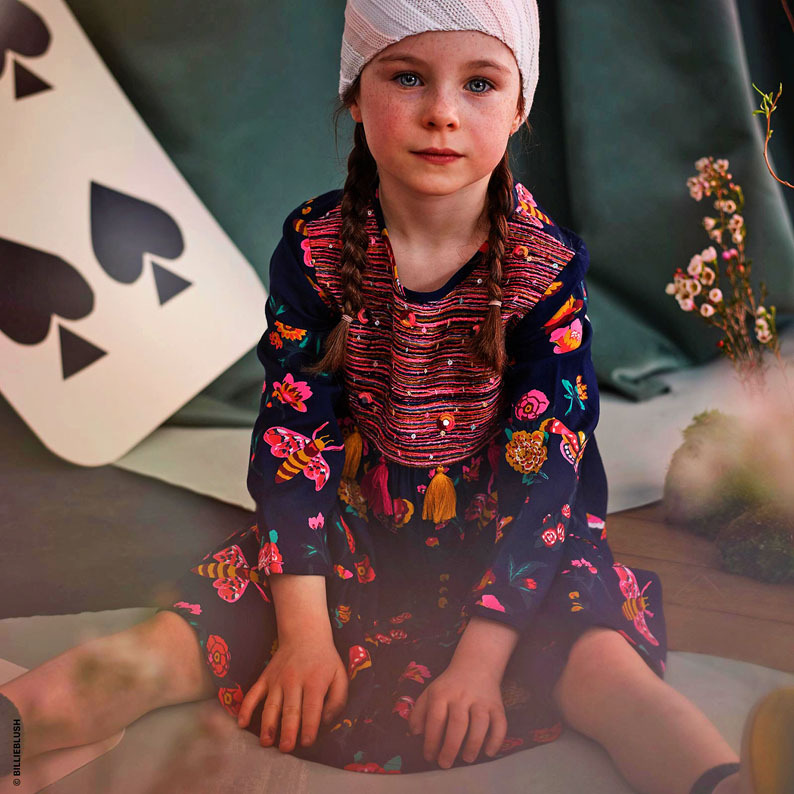 This navy blue Billieblush dress, with its pretty pink and yellow floral print, is a lovely addition to a girl's wardrobe for cooler days. The bodice has an extra layer of colourful stitched thread, made even prettier with little mirror-like appliqués and tassels. Made in lightweight viscose, it drapes beautifully and is soft against the skin. 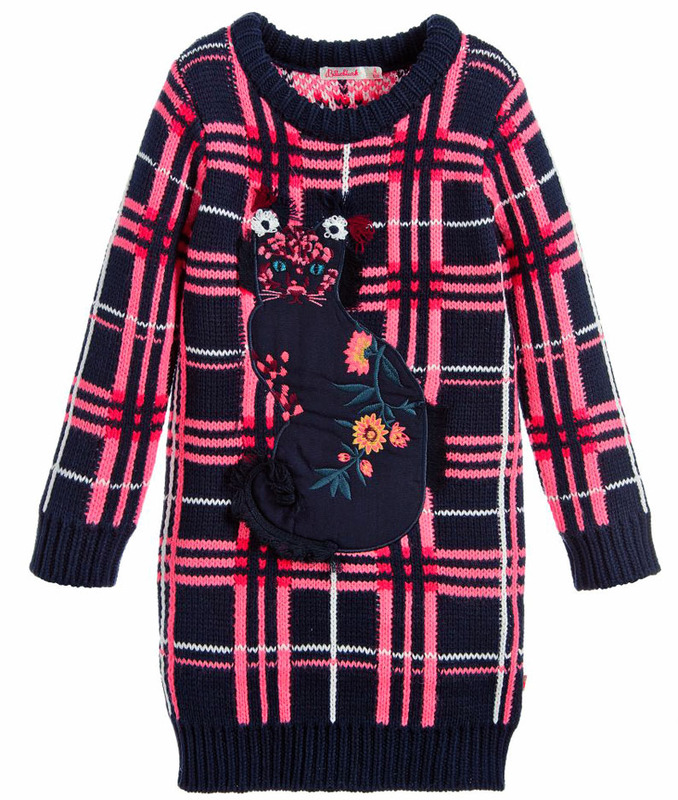 This cosy navy blue and pink dress by Billieblush will keep girls warm when the weather gets cooler. Made in a chunky-knit, cotton blend, it has a large embroidered cat appliqué on the front. With a ribbed collar, cuffs and hem, it is easy to wear, simply pulling on. 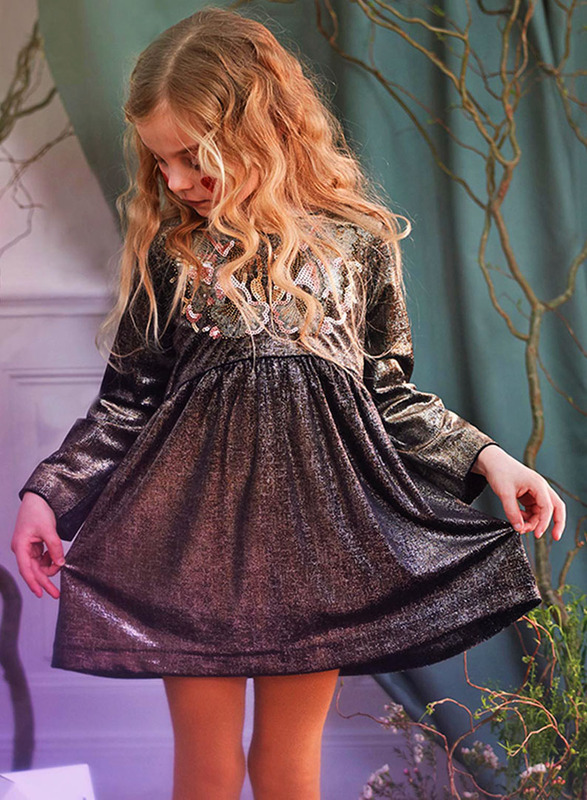 A beautiful, burnished gold dress by Billieblush that will let little girls shimmer and shine all day and night long. 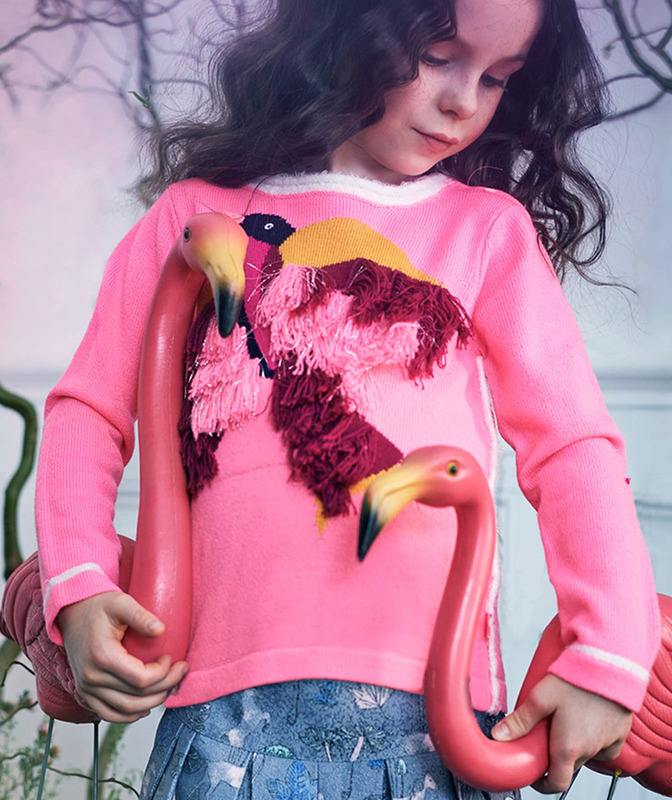 Made in soft, comfortable velour, it has a glittering sequinned and beaded design of a swan's wings across the bodice in pink and gold. 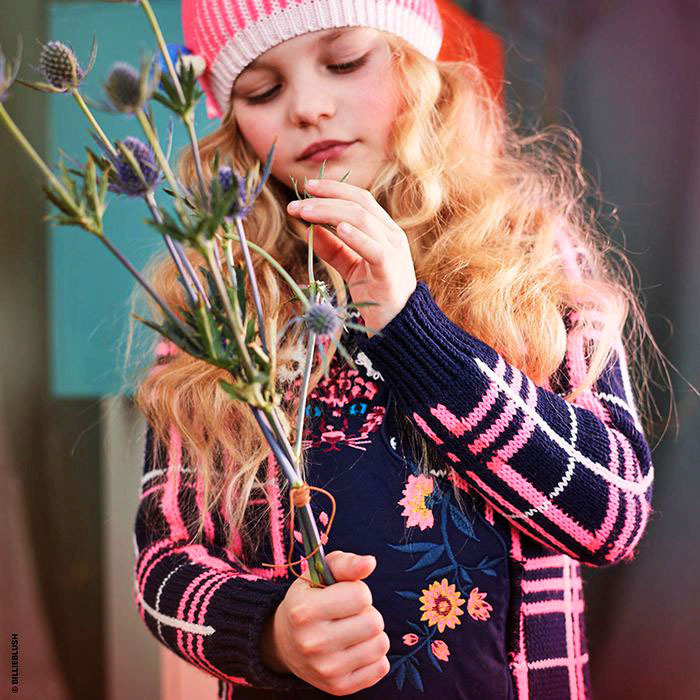 Girls will look forward to the cold so that they can wear this cotton parka by Billieblush. Combining warmth with style, it has a cosiness with practical drawstring pulls on the inside and a synthetic fur lining that spills over the sides of the hood and hem, for a quirky, fashion-forward look that's sure to turn heads.